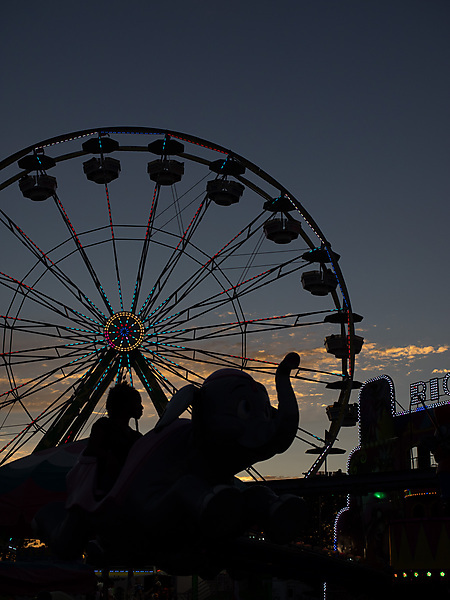 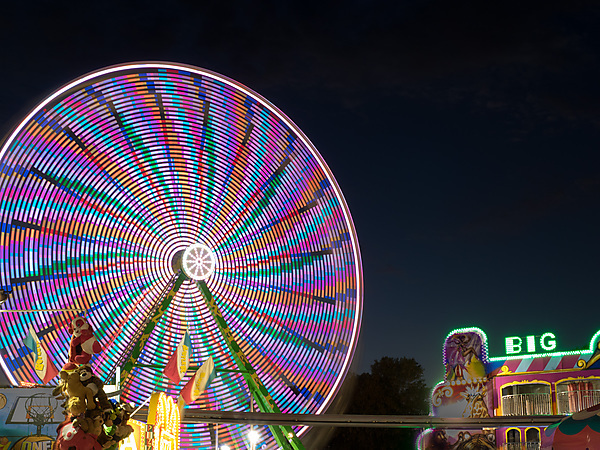 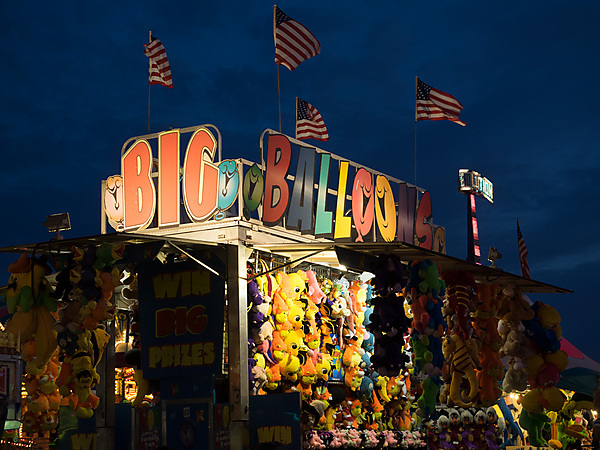 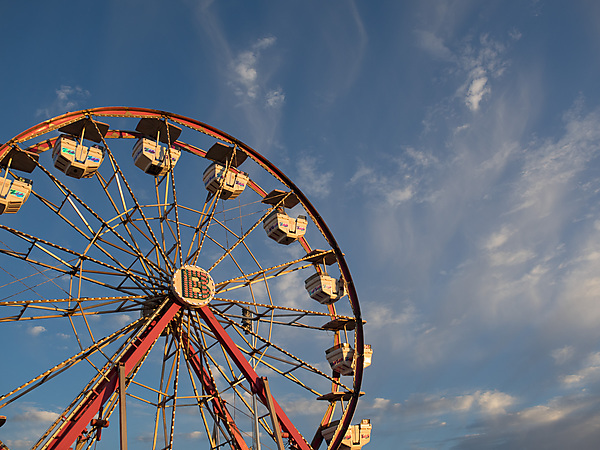 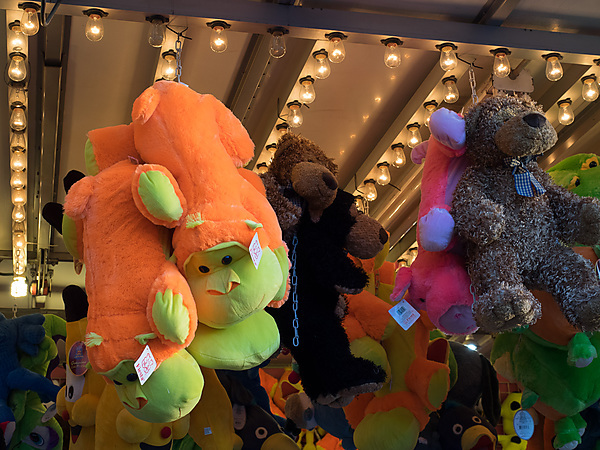 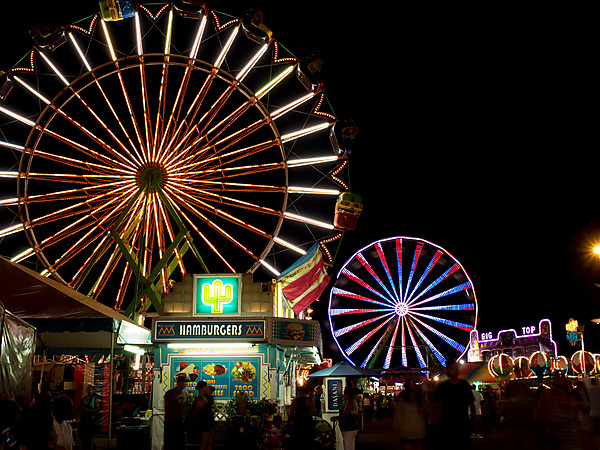 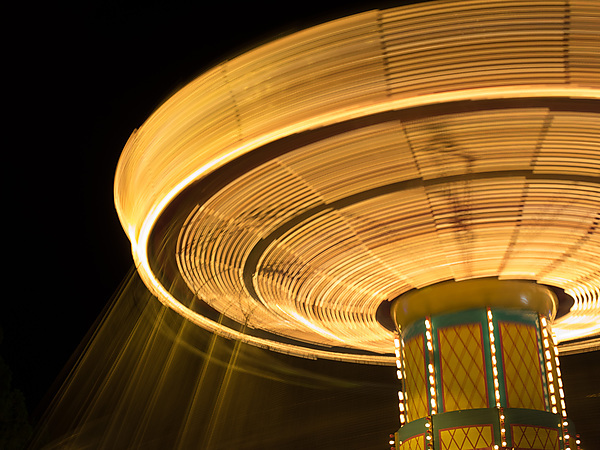 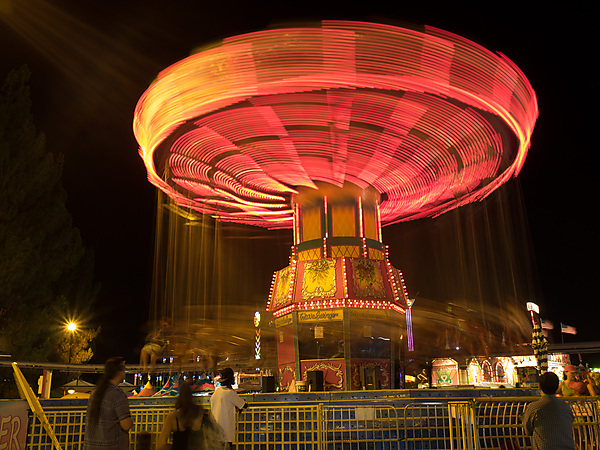 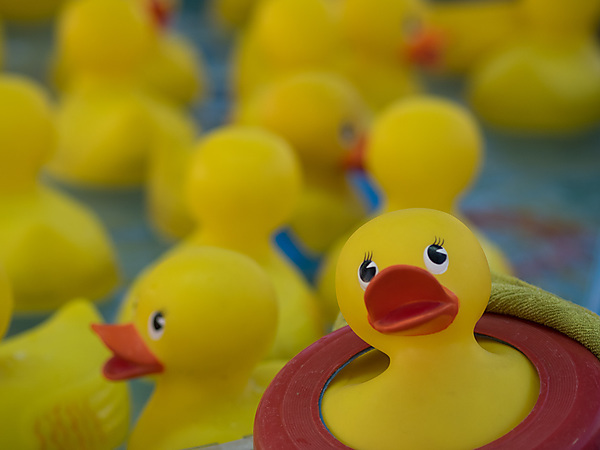 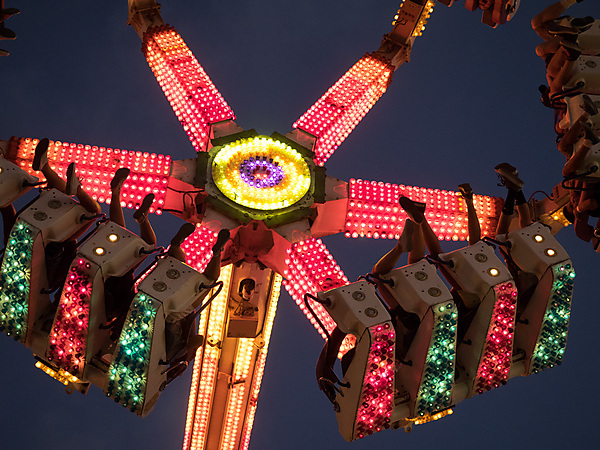 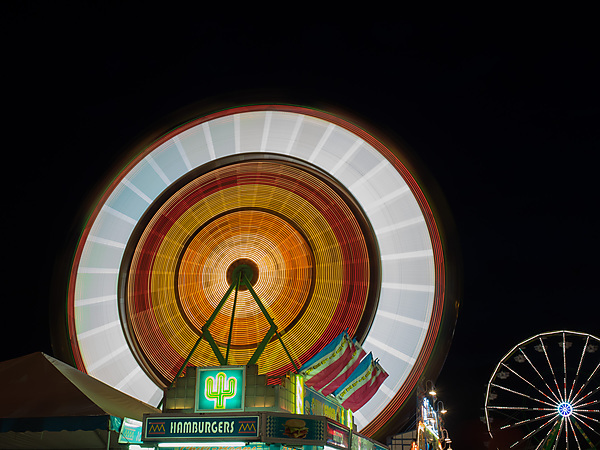 State and county fairs are a staple of summer in America. 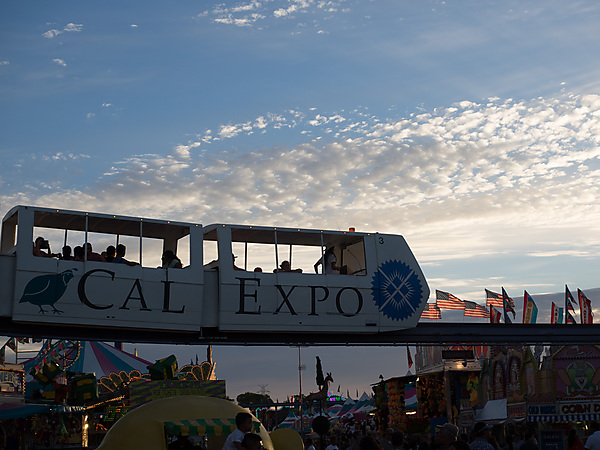 The California State Fair is a much bigger version of the county fairs I've been to. 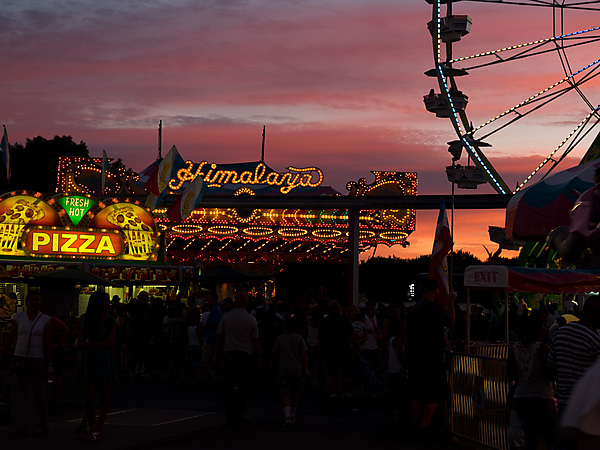 On the evening of my visit, the sky turned a beautiful array of purple and reds. 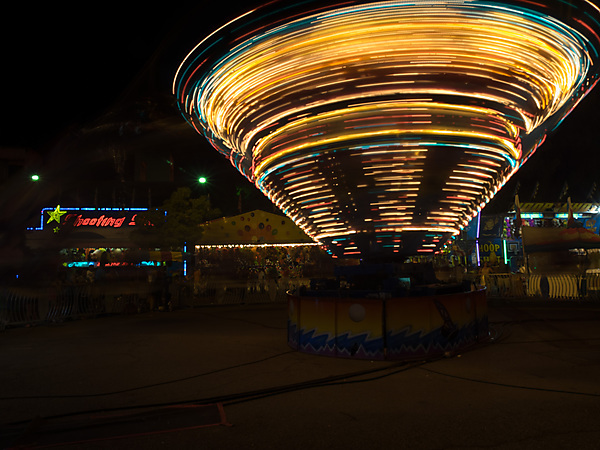 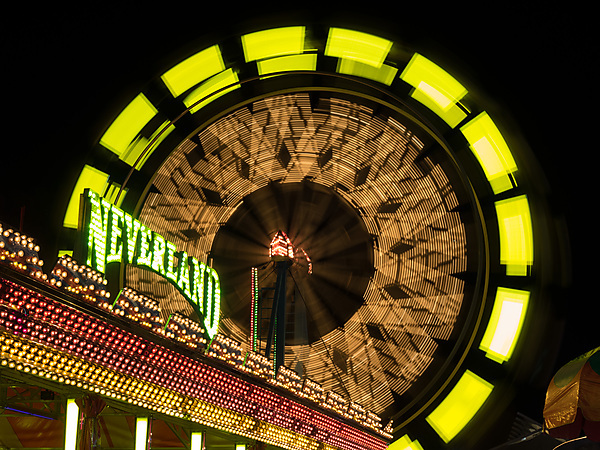 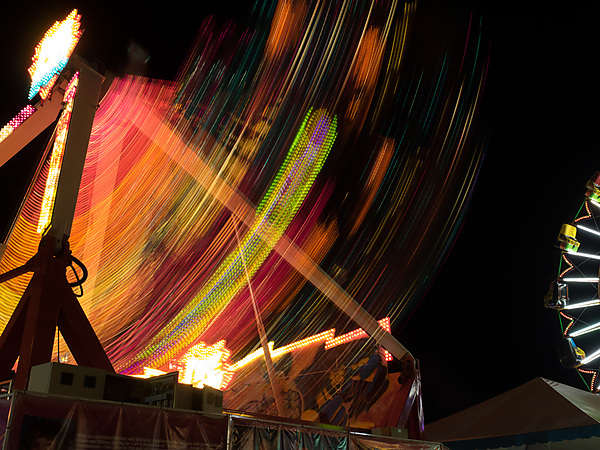 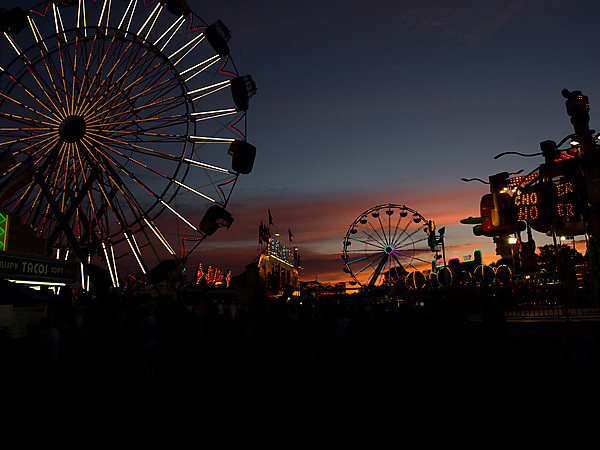 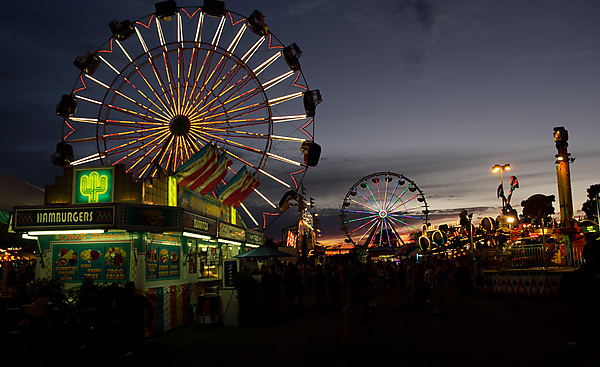 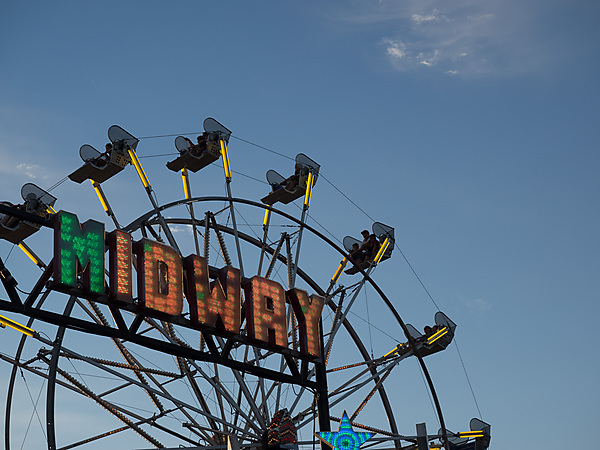 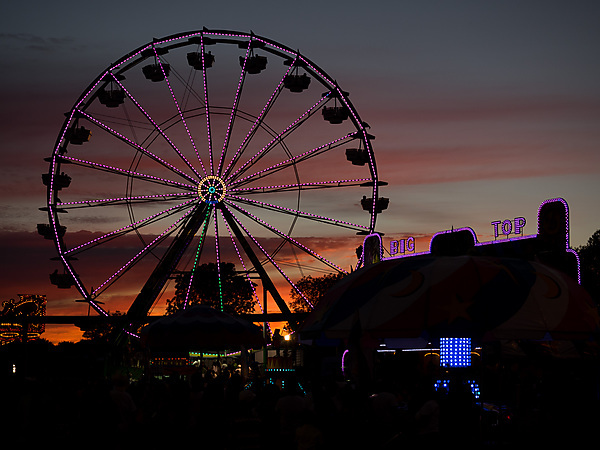 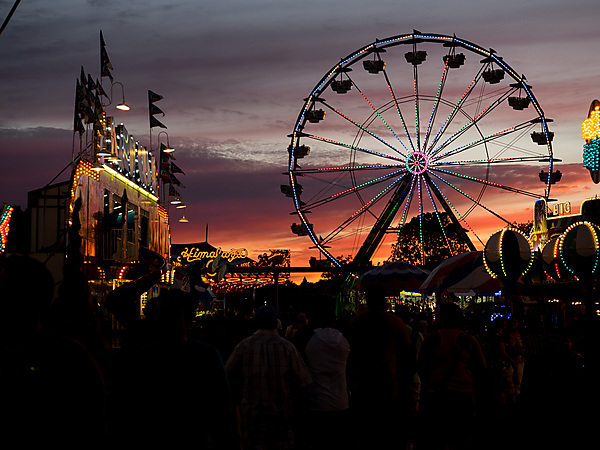 After the sun sets, the midway lights up.